We can cry because we're happy. We can cry because we're sad. We can cry because we're cutting onions. They're all completely different emotions, but are they different tears? 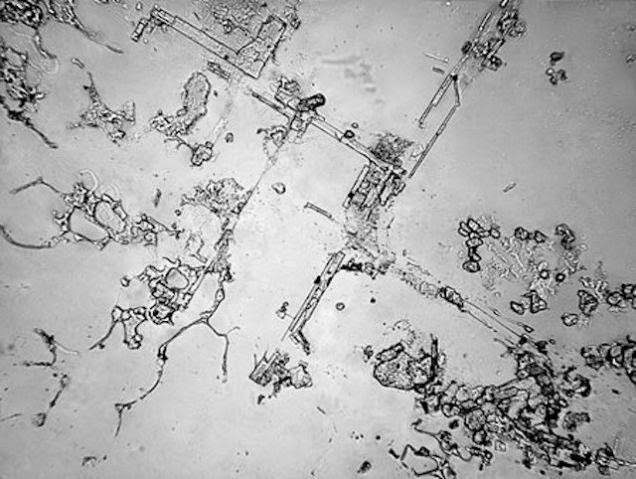 Photographer Rose-Lynn Fisher wanted to find out in her series The Topography of Tears. She put dried tears from all different kinds of situations under the microscope to see what's different between them all. So there are three different types of tears. 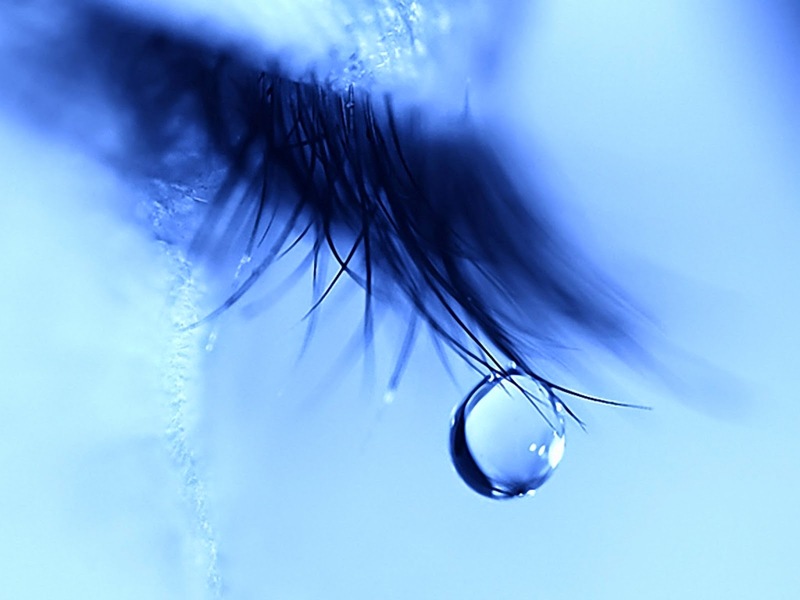 Psychic tears (happiness, sadness) are caused by extreme emotions. 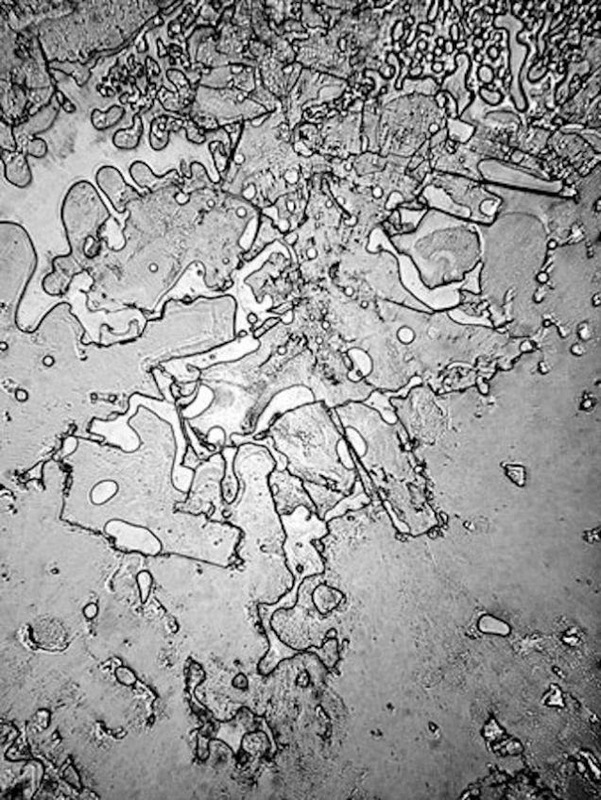 Basal tears are made to keep the cornea lubricated. Reflex tears (onions, tear gas) come out in response to something else. Fisher found that those three different types of tears contain different molecules. That makes sense! They're three different things! But how do tears of joy and tears of sorrow, which come from the same place, end up looking different? Because of circumstance. 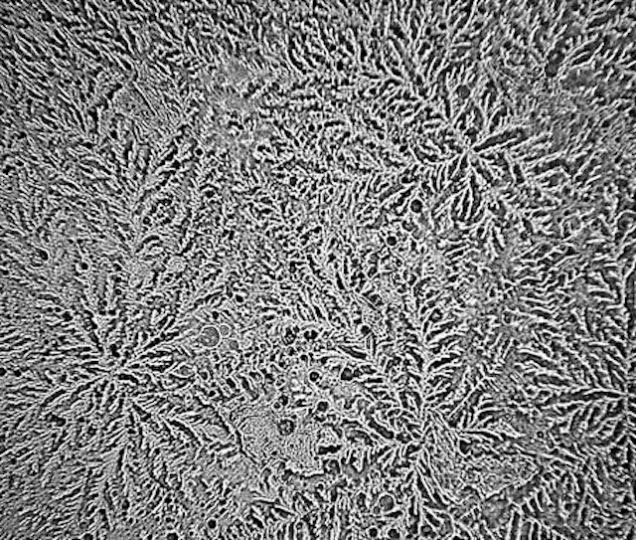 Even though they're the same, how you cry and so forth can affect how it looks up close.